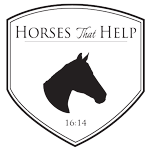 Support Horses That Help in #GreatGive424! We need your help! April 24 from midnight to midnight is the Great Give 2019... which is an exciting 24 hour period of fundraising for local non-profits because of matching grants and prizes! Also, FPL is donating $750 to the non-profit with the most donors between 6pm and 7pm. Note, this is the most DONORS, not donation amount, so we're asking everyone to donate just $5 during 6pm-7pm. If 100 family members donate just $5, that's $500 in donations but $750 from FPL! Here is the link: https://www.greatgiveflorida.org/organizations/horses-that-help to donate and learn more about this exciting day! I’ll admit I was caught up in the details and fretting about everything that was going wrong before the Easter Party this Saturday. I was focusing on the wrong things. But then, I was humbled and brought to tears by a mom who so badly wanted her son to participate she arrived at 7:20am, having driven 45 minutes to get here and was willing to sit in the car with him for over two hours, waiting. This momma reminded me WHY we do what we do and to never become complacent. Each volunteer and each donation and each prayer means soooo much! Thank you Mario the Baker Royal Palm Beach for pizza and your famous garlic rolls, thank you Martha Marie and LeAnn Headrick McGrath for your donations. It takes a village to create this many smiles and we are thankful and reminded that each smile is priceless! And thank you Sandra Effertz Photography for capturing these precious moments! Nothing is impossible when caring people gather to make a difference! Impacting the lives of children with special needs and at-risk youth... all for free! Introducing the newest addition to the Horses That Help team! It might be a challenge to side walk but we’ll provide step stools and shoe inserts to help!